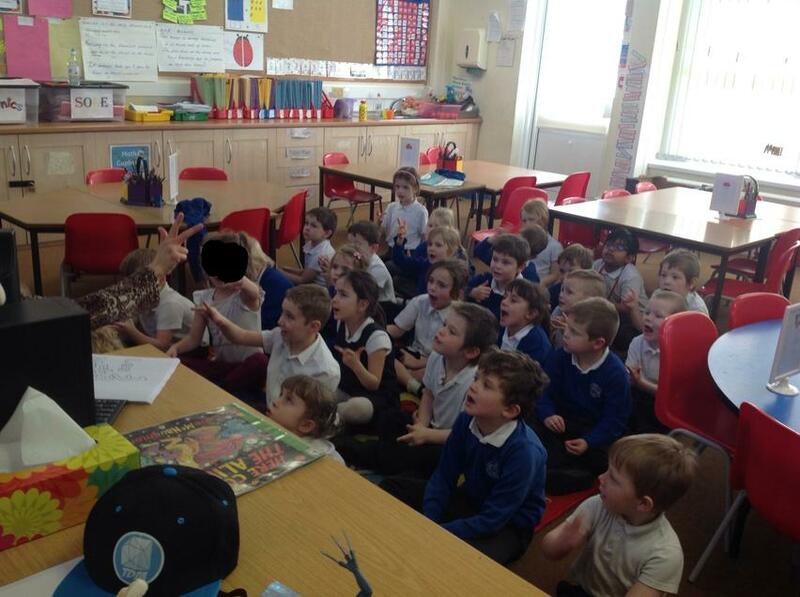 Year 1 have been learning colours, numbers and actions in French. 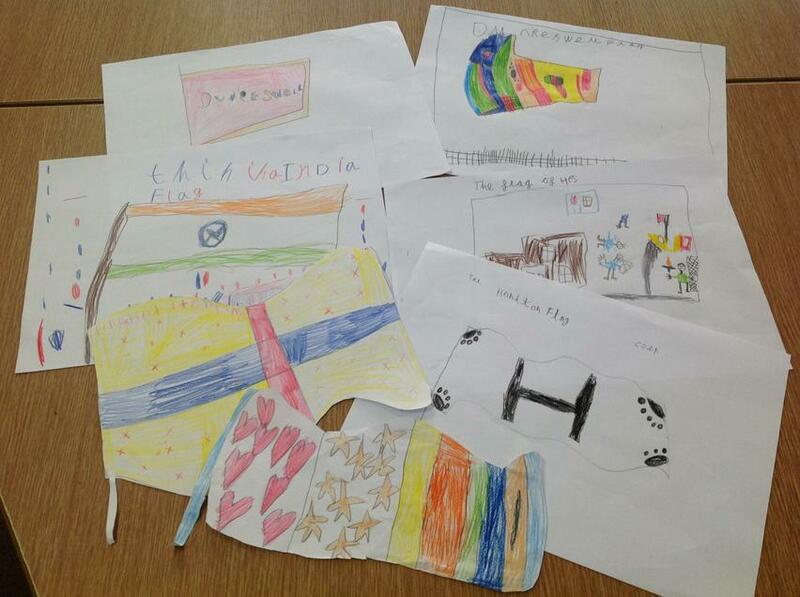 We designed flags of where we live or a HPS flag. 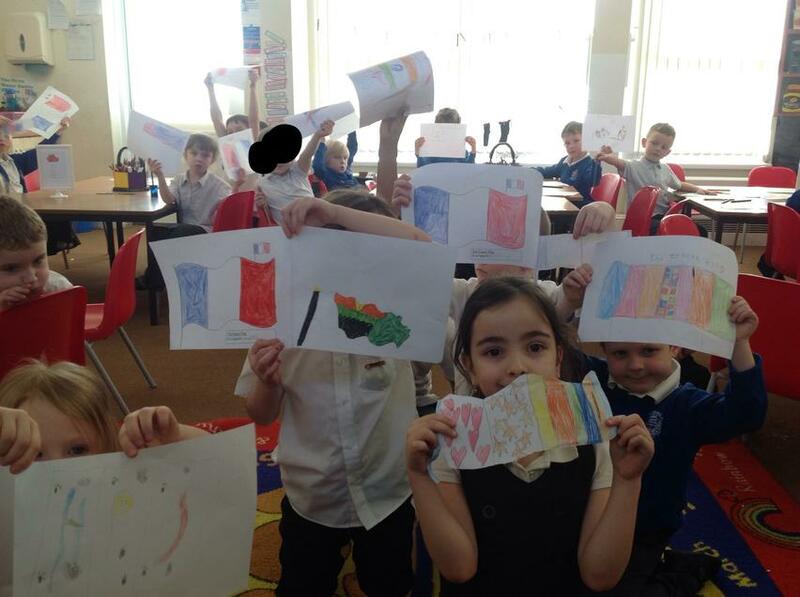 Ask the children to tell you what colours the flags are and they will answer you in French! 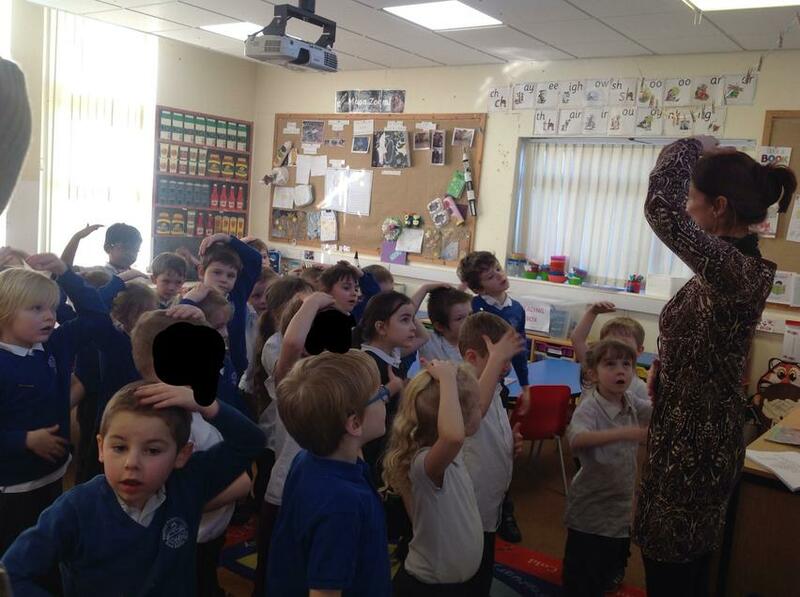 We also had fun following instructions. See if they can tell you what "tappez la tete et frottez le ventre" means!